What Happened to Universal’s Monster Movies? Feature horror List movies Universal By Nate Williams What happened to Universal’s Monster movies? Cinematic universes are huge right now. It can be certain that, in every boardroom at every major studio, executives are sitting around trying to think of which properties they can turn into franchises. It’s how it goes. You’ve got the Wizarding World of Harry Potter, you’ve got the Marvel Cinematic Universe, you’ve got the DC Extended Universe, and so on. Everyone wants a franchise. And why wouldn’t they? The Fast and Furious universe, the Despicable Me franchise, the aforementioned superhero studios are all enjoying nice, fat billion-dollar profits. As a studio head, you’d be foolish not to want in on that. That’s why it’s so painful to see the Universal Dark Universe fail so miserably. The poor producers at Universal have tried, and tried, and tried, to make this work. But they just can’t seem to grasp it. Now, … [Read more...] about What Happened to Universal’s Monster Movies? 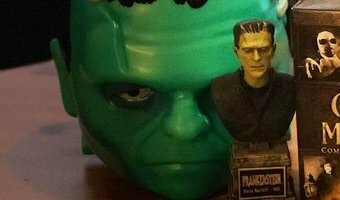 CS Unboxed: Halloween Haul With Universal Monsters & More! 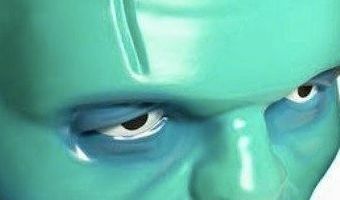 Movie News Super7 Universal Monsters By Max Evry ON October 31, 2018 CS Unboxed: Halloween Haul With Universal Monsters & More! ComingSoon.net is bringing you a special Halloween edition of our premium unboxing video series CS Unboxed, featuring Universal Monsters movies and Halloween Superbuckets from Super7! Check out the video below to see our Halloween Haul! Click here to purchase the Super7 Universal Monsters Superbuckets! Every day is Halloween at Super7 with the Frankenstein and Creature from the Black Lagoon Superbuckets! An officially licensed retro plastic bucket for trick or treaters of all ages, they retail for $20 each. Click here to purchase the Universal Classic Monsters box set! Thirty of the most iconic cinematic masterpieces starring the most famous monsters of horror movie history come together on Blu-ray for the first time ever in the Universal Classic Monsters: Complete 30-Film Collection from Universal Pictures Home Entertainment. … [Read more...] about CS Unboxed: Halloween Haul With Universal Monsters & More!